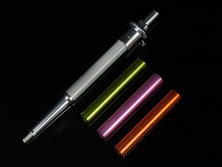 Precision Anodizing Aluminum of Medical Components | Modern Metal Finishing Inc.
A manufacturer of precision medical components contracted us to provide the anodizing services required for this medical pipette. 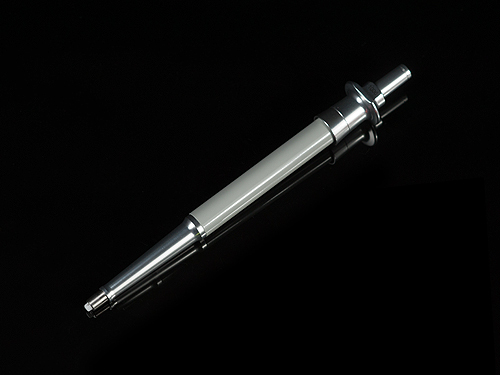 Composed of 6061-T6 aluminum, this component measured less than 10" in length. 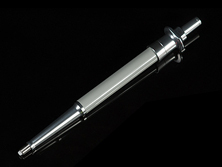 The clear anodized finish required was applied utilizing a rack anodizing system. At Modern Metal Finishing, Inc. we take quality seriously, we employ stringent quality control measures throughout production. This project had to meet MIL-A-8625F, Type II - Class 1 & 2 standards and received in process testing, as well as final inspection. 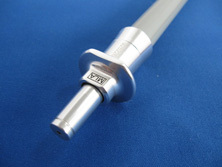 This ensured that the highest level of quality was maintained throughout production. To learn more about this project, or the processes used to anodize it, see the table below or contact us directly. Medical Pipettes used in the medical industry.